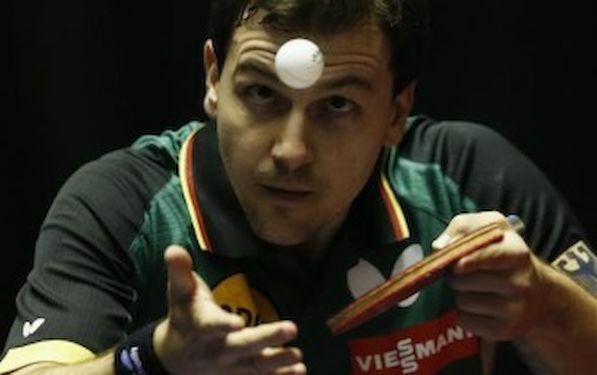 Timo BOLL broke the record at the 83rd National Championships in Germany. In front of 3,000 spectators at the Chemnitz Arena, on his 34th birthday, BOLL clinched the 10th title in his career. BOLL is now alone on the list above Eberhard SCHOLER and Conny FREUNDORFER, both who won nine times. BOLL’s success in the Chemnitz Arena has a historical dimension. So far BOLL is the Olympic and World Championships medalist, two-time World Cup winner, former world number one, record time European champions, China’s nightmare, king of the Continent – now with OVTCHAROV – and master in all classes with his Borussia Düsseldorf. “I’m happy for Timo, and I say this without any personal sorrow,” Eberhard SCHÖLER comments the changes at the all-time list. “He is a model of sportsmanship, and the same goes for the entire German national team.” Hans Wilhelm GAB adds: “The tenth title for Timo BOLL is the confirmation that he is the best German player in front of Eberhard SCHOLER, Jörg ROSSKOPF and Conny FREUNDORFER ”, said the DTTB Honorary President, who congratulated first.